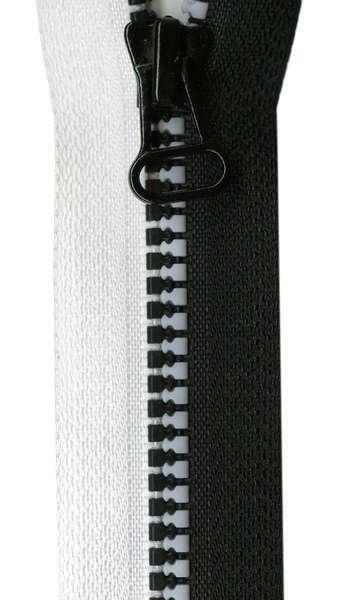 Part of Ghee's Black and White Brights Separating Zipper Collection. These separating zippers can be mixed to create different looks. Zippers can be easily shortened. Use leftover zipper parts as trim on pockets or accessories. 24" colorful array of tapes with plastic black white teeth.